Take a book. Return a book. 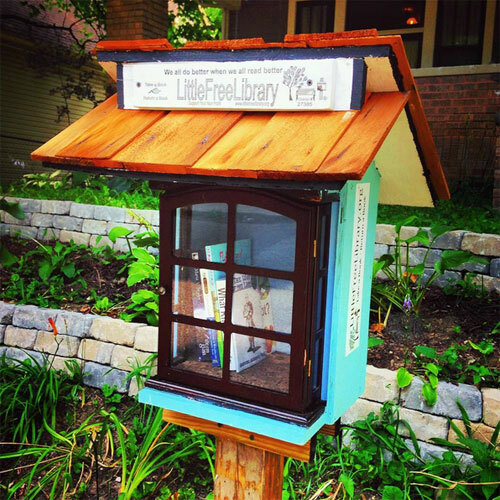 What could be a lovelier, more neighborly gesture than a DIY library in your community? The Little Free Library is a network of small, weatherproof boxes, started in 2010 in the town of Hudson, WI and now spanning the globe, including a couple I’ve recently come across in Indianapolis. 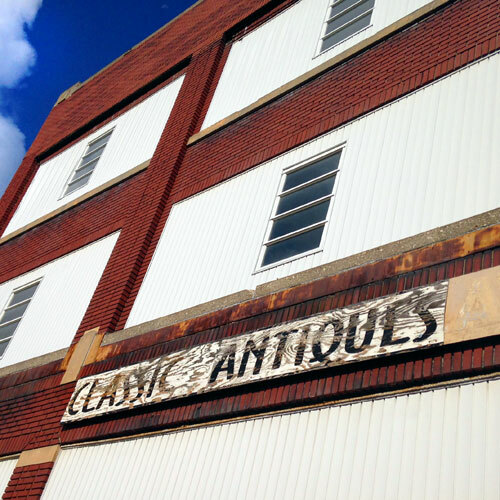 The former Classic Antiques & Collectibles is located at 119 North Ontario St. in glorious Toledo. It’s a pretty cool building that seems to have last been used as headquarters for the 2012 Obama presidential campaign. Forward! 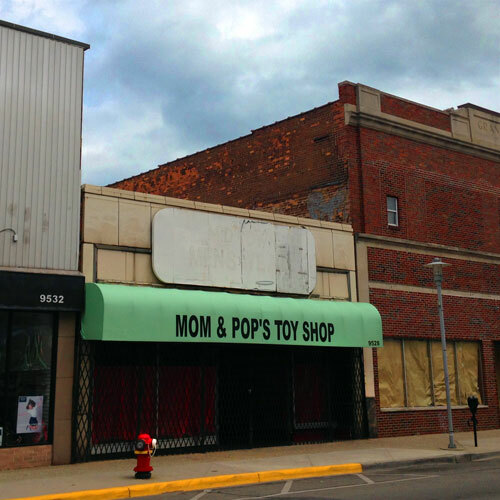 Mom & Pop’s Toy Shop was located in the heart of Hamtramck’s retail district on Joseph Campau Ave., Hamtramck being a separate town inside of Detroit, which was at one point mostly Polish, then seemed to become more hipster, with an influx of other ethnic groups and, on my last visit, seemed a bit barren, with more ghost signs than I’d expected. 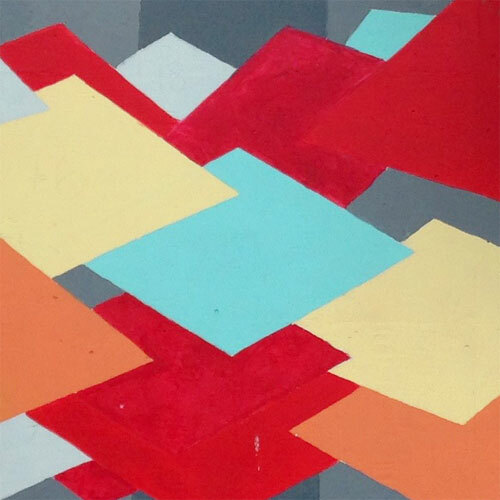 Trivergence by Carl Leck is a series of overpass murals in Indianapolis, located on East 10th St. under I-65. Measuring approximately 1,000 linear feet, it was painted by a group of volunteers as part of the 46 for XLVI mural initiative [public art created in preparation for Indy hosting the Super Bowl]. 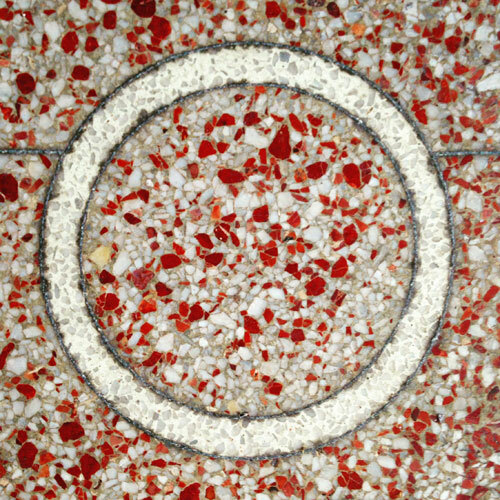 How much do I love terrazzo signs? A lot. 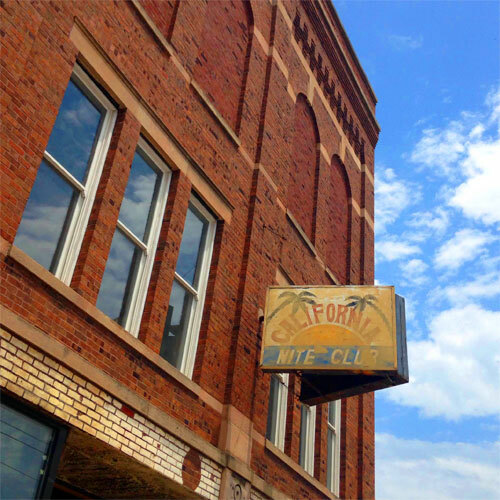 This one in downtown Ferndale, MI is for the old Innes J. Davidson Jeweler, and the color and lettering are so beautiful that we should ponder this lovely O before moving on to the whole thing. 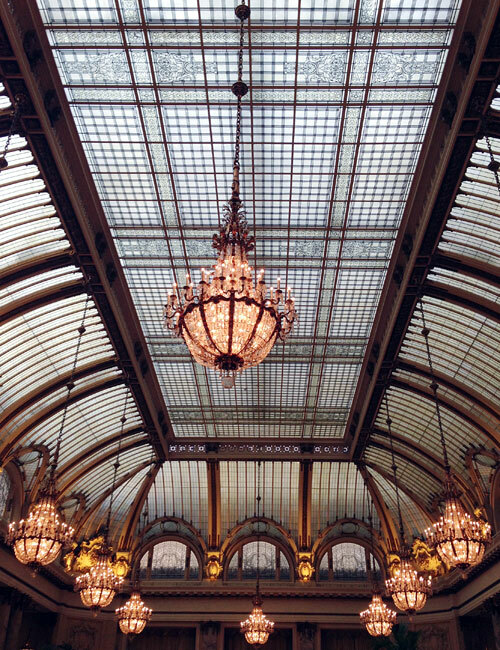 Located at 2 New Montgomery St. in downtown San Francisco, the Palace Hotel was designed by NYC-based Trowbridge & Livingston and erected in 1909 on the site of the original hotel of the same name, which fell victim to the 1906 earthquake.